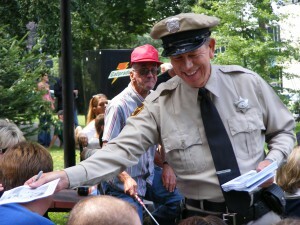 We are less than one week away from the inaugural Mayberry in the Midwest Festival May 17-18 in Danville. How can you beat a weekend packed full of fun and family entertainment? Contests like Aunt Bee&apos;s Pie Eating Contest and Opie&apos;s Fish Toss, a box car race, a parade and multiple vendor booths selling arts and crafts. There is something for the whole family. 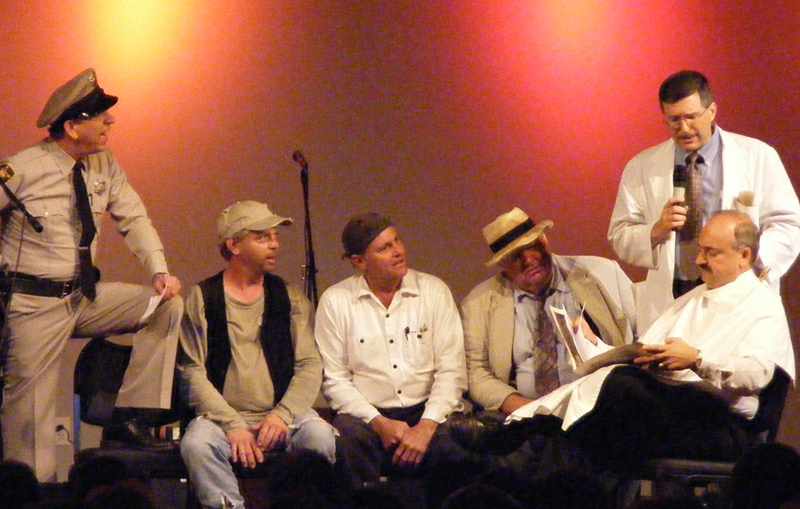 In addition, there will also be a bevy of talented Tribute Artists taking the stage to entertain: Gomer and Goober Pyle, Ernest T. Bass, Otis Campbell, Floyd the Barber and many more of the familiar characters will be on hand throughout both days of the event. Festival organizers actually call them the glue that holds the entire festival together as they are constantly involved in every aspect and always remain in character. Many of these artists travel together to festivals and other events throughout the country, and some have been doing it for decades, much longer than the original actors they are mimicking. We even will give away four tickets for a Friday night VIP Meet & Greet Dinner at Twin Bridges Golf Club in Danville to meet these talented artists and some other Mayberry dignitaries up close and personal without fighting the festival crowds. More on that giveaway in a minute. 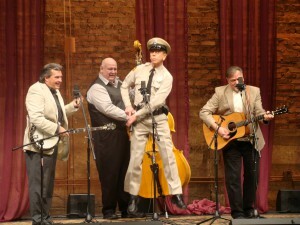 First, I wanted to introduce you to one of the most notable of those artists, David Browning who plays the Mayberry Deputy. I recently had the opportunity to talk with him about his profession and what he will bring to the festival. 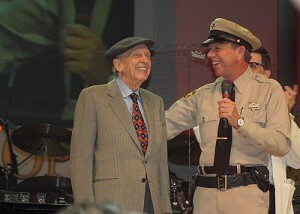 Browning started impersonating the Mayberry Deputy character in 1989 when a friend asked him to open for the Darlings. With a community theater background, he always loved to entertain. But he never imagined how far this opportunity would take him. The Mayberry Deputy/David Browning is a bridge between the Andy Griffith Show In 1994, he opened for Don Knotts and is now in his 20th year of traveling and entertaining full time. His bride of 37 years, Patty, now gets to travel with him, too. Browning said his favorite episode from The Andy Griffith Show is "Man in a Hurry" from Season 3. A businessman&apos;s car breaks down near Mayberry on a Sunday. In a hurry with places to be, he is annoyed at the lack of urgency in the sleepy, Sunday town. But after spending a few hours on the front porch being serenaded by Sheriff Taylor on guitar and Deputy Barney Fife, he begins to think that maybe slowing down wouldn&apos;t be such a bad idea. By the end of the episode, the businessman is rocking in a chair on the front porch enjoying his unplanned, yet restful reprieve from the corporate world. 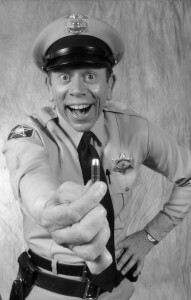 While it may not be one of the most widely known episodes to fans, Browning loves it because it, as much as any other, portrays what Mayberry is truly about. It is a representation of small town America where life slows and people matter. Where family values are top priority. Where neighbors help each other and pie is always for dessert. Where life is easygoing and laughter is a way of life. "In our world, people are searching for their own Mayberry," Browning said. "In blending the character with who I am, I value what it gives people today: laughter and memories." That is what David Browning and the other Tribute Artists will bring to Mayberry in the Midwest. 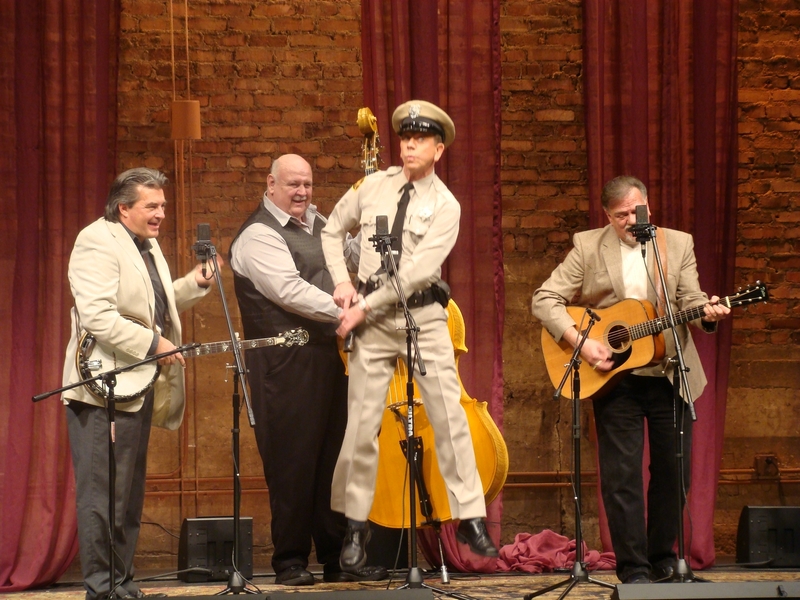 With their form of improvisational comedy and impeccable character impersonation, you can step away from the hustle and bustle of life and be whisked away to a simpler time. With audience interaction and maybe even a few &apos;citations&apos; issued, you will definitely laugh, relax and have a good time. So, if you would like to meet Browning, the other Tribute Artists and even two of the actors from the original show in an intimate setting while enjoying a free meal, all you have to do is provide a comment below about what part of this first Mayberry in the Midwest festival you are looking forward to most by noon, May 13, and we will pick a winner that day. You can take a look at the schedule of events for more inspiration or information. Good luck and we hope to see you this weekend!